Episode 51 features two special interviews. 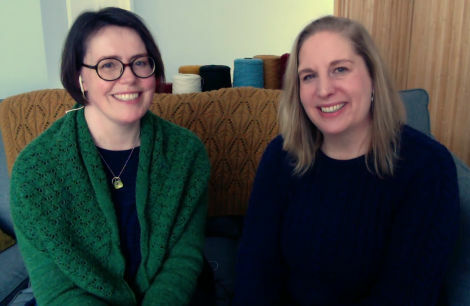 The first interview is with Edinburgh Yarn Festival founders, Jo Kelly and Mica Koehlmos. After catching up on all the footage from the Edinburgh Yarn Festival 2018, it is great to meet the people behind it and to hear the story of how the Festival got started. Our second interview guest is technical editor, designer, author and instructor Kate Atherley. 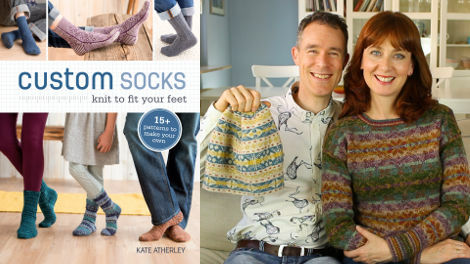 Kate talks about her passion for teaching people how to really custom fit their socks as well as helping knit designers create high quality knitting patterns. 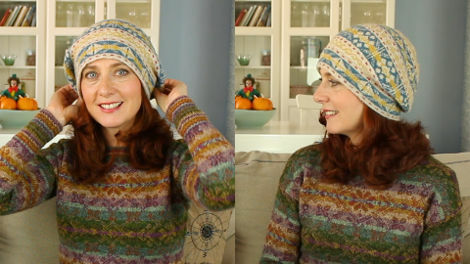 Andrea also takes us through her latest projects and we take a closer look at Fair Isle patterning, comparing traditional and modern designs and colors. We’ve got updates on the Vintage Shetland Kal and the Modify Your Garment Kal, we visit a mountain castle and hear some beautiful music, and lots more! We would love to have your company. Now in its fifth year, the Edinburgh Yarn Festival is a major event in the international knitting scene. 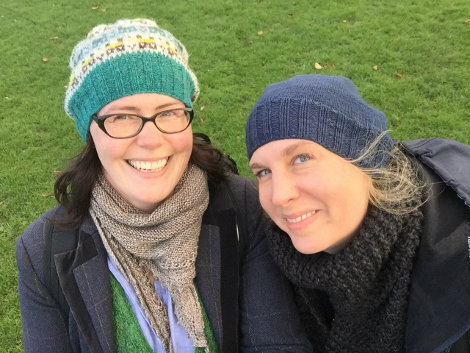 Although its size and success hint at the backing of a major event management company, the Festival is in fact the creation of two Edinburgh knitters, Jo Kelly and Mica Koehlmos. Mica and Jo saw the yarn festivals that were happening in the US and wanted to have something comparable in their home town, Edinburgh. They say they didn’t have a clear vision when they started, but it seems that they have always been creating the Festival to be an event that they would want to attend themselves. There is a focus on high quality yarns, smaller producers and modern designers. Exhibitors are largely UK based, but not exclusively. Because the two are both passionate knitters themselves, they know the needs and wishes of the visiting knitters. As we spoke to exhibitors at this year’s Festival, there was recurring praise for the job done by Mica and Jo. Finding a balance between the needs of the vendors and those of the paying public must be a delicate task, but Jo and Mica seem to have the touch, and we look forward to next year’s Festival. 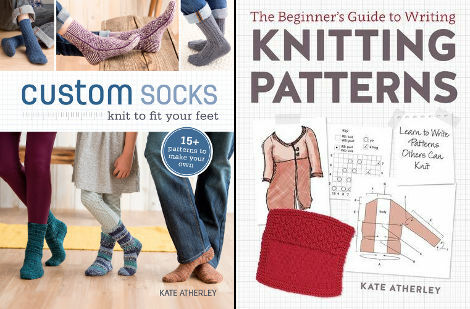 Like many independent professionals in the crafting industry, Kate Atherley has multiple occupations, including technical editor, designer, instructor and author. Kate’s strength is her ability to understand the big picture and the details, and to share this understanding, either verbally or in writing. Teaching is the key to all of her activities, as it is both a chance to spread her knowledge and enthusiasm, but also a chance for her to learn and improve her own skills. Kate is very generously offering Fruity Knitting Patrons a 25% discount on any of the patterns from the Kate Atherley Designs Ravelry Store. She has almost 100 patterns, covering socks, mittens, cowls, scarves, shawls and some garments. Find full details on this post at Patreon. It has been an interesting experience for me to first knit the Samphrey which I think of as a modern Fair Isle pattern and then to knit the traditional Fair Isle Tam back to back. I thought it would be a good idea to compare the patterning and colour choices on both designs so I have some fun analyzing the patterns for you. The discount on kits for the designs from the Vintage Shetland Project by Susan Crawford has been extended to the end of April. Find full details here. The Banshee. Gravel Walks. The Old Copperplate. Andrea did a tutorial about beginning a new ball of yarn in the middle of a project, a techniques I have not found anywhere else, very cool and neat. I want to watch it again but I cannot find it! Can you help? It was not in this edition but thought you would see my note and reply. 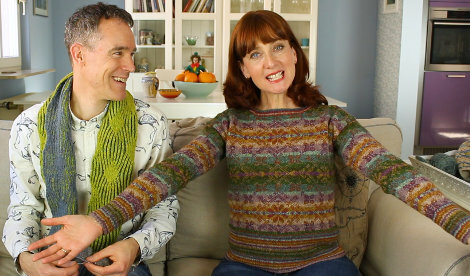 Check this one out – that may be what you’re referring to: Weaving in the Ends as you Knit. I’ll also ask Andrea in case there is something better that I’m not finding.